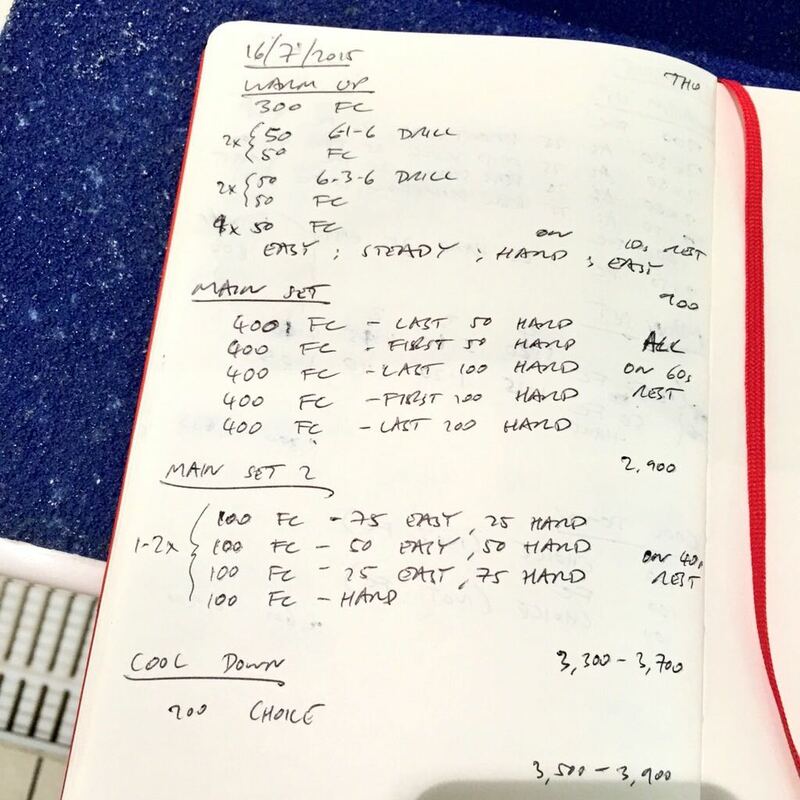 After a month focussed on more intensive aerobic main sets this week’s triathlon swim sessions mixed paces a little more. 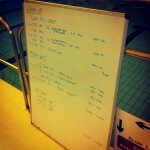 Tuesday and Thursday’s sessions contain long reps with varied pacing; Tuesday’s 500s are a personal favourite of mine. 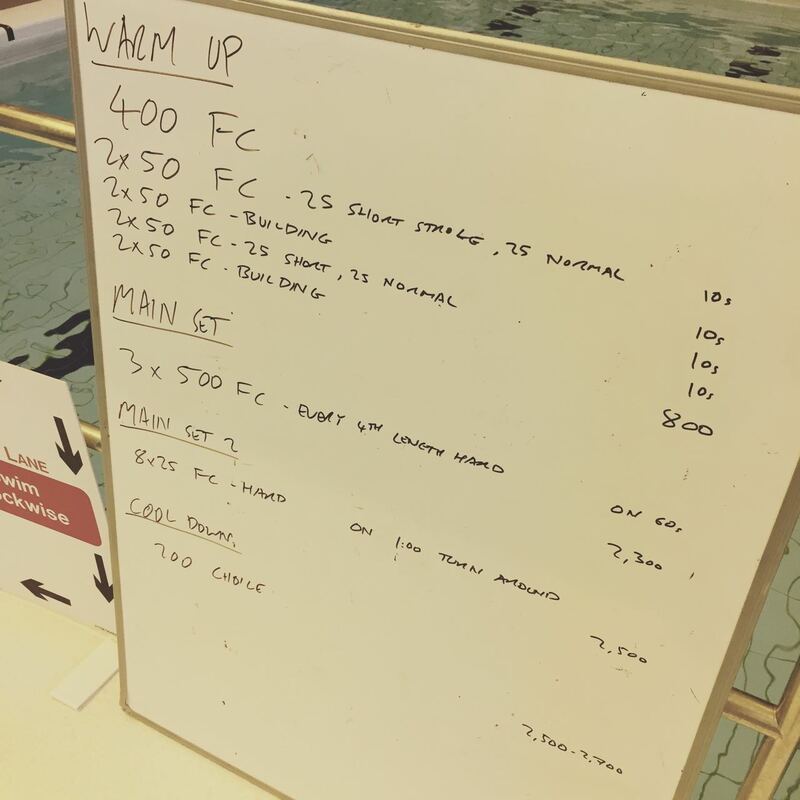 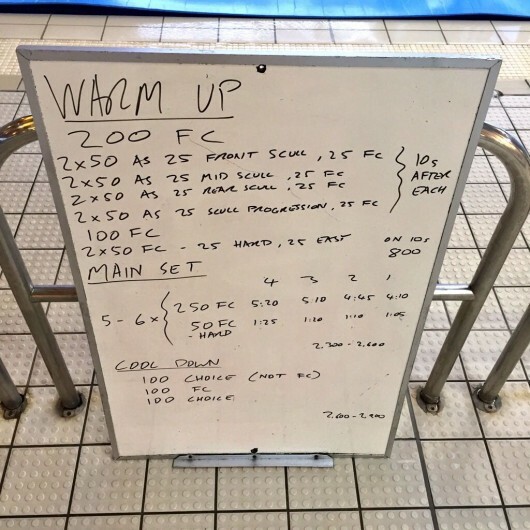 It’s my second time testing out the short stroke drill – by getting swimmers to deliberately shorten their stroke it helps contrast the difference good stroke length makes. The main set, as I said, is a favourite of mine – a good way to break up bigger reps.
Wednesday’s group worked through a series of sculling drills – I think I’m going to have to come back to these in the off season to help improve skills here. 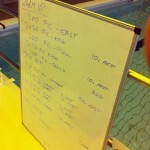 After that it was more swimming to tight turn around times with a little variation in pace. 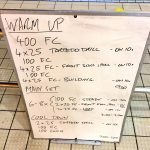 We didn’t actually use the warm up I’d planned in this morning’s session. 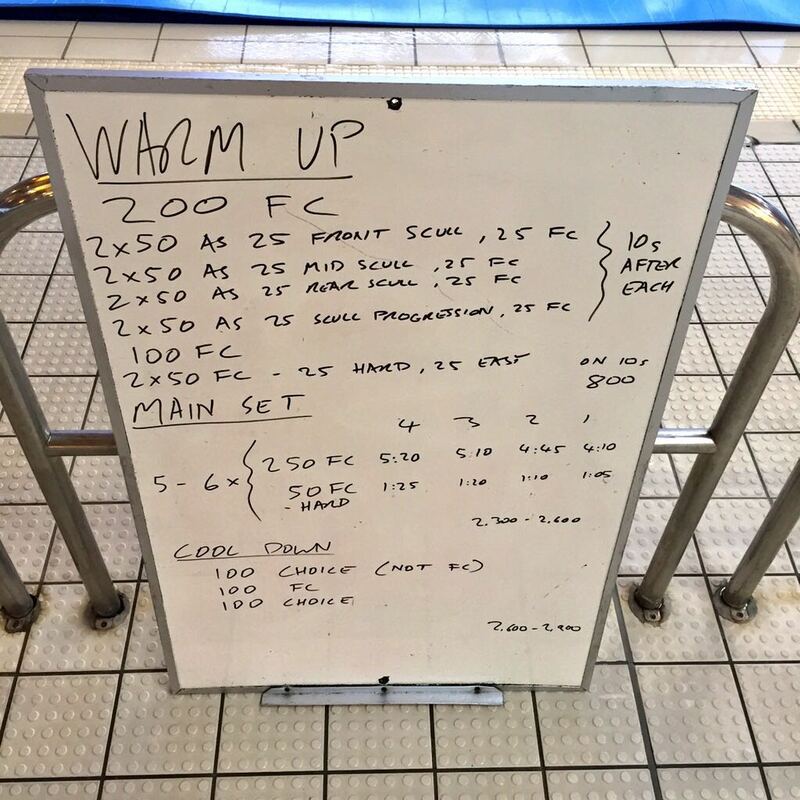 A new swimmer clearly needed some work on her stroke timing so I substituted in catch up drills. 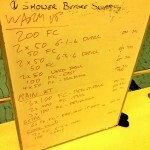 The main set went to plan, long reps with shorter hard efforts to start or finish; then some 100s along a similar theme.